Children are taught from an early age about the many things in the world that can harm them. Even in a toddler’s narrow world, there are plenty of potential hazards lurking around almost every corner. With growing autonomy, children are then warned about an expanded set of dangers. These range from the dangers of talking to strangers, the need to look both ways before crossing the street, and the inevitable ruin that awaits them if they should succumb to the wiles of peer pressure. And that’s all before matriculating preschool. Toss in the internet and a plethora of devices for connecting to it, then the challenges of keeping kids safe increases exponentially. It’s no small wonder that any significant number survives to the fourth grade. I can’t get the image of newly-hatched sea turtles scrambling over the sand towards the crashing surf in a desperate attempt to keep from becoming a tasty snack for ravenous sea birds. Addressing the new set of challenges of educating children about staying safe online has been taken up by several quarters not the least of which is parents. The government and schools are also making an effort and though public schools are part of the government, I’ll treat them as separate entities. Under the purview of the Department of Homeland Security (DHS) there is the “Stay Safe Online Program” established by the National Security Alliance. The program is a resource for parents and teachers to educate children about cybersecurity and is graduated to target concepts by age group. This way, younger children don’t feel overwhelmed by the concepts and it also prevents the eyes of older children from glazing over with boredom. This aspect is important and we’ll come back to it later. The DHS also has adapted the Stop.Think.Connect campaign established under the Obama administration for children. When it comes to government involvement in the lives and well-being of its citizens the issue of “small” versus “big” government invariably intrudes upon the discussion. Again, this isn’t the place for a political debate, but this point of contention warrants a nod, however, the existing public programs addressing the issue of kids and cybersecurity indicates there’s demand for some level of government participation in this issue. Things become even more contentious when public schools are thrown into the mix. With shrinking budgets and over-taxed teachers, adding another item to the curriculum, which many teachers are probably ill-equipped to teach anyway, could potentially be the final straw for government-funded schools. The lion’s share of the burden of raising cyber-aware kids then falls on parents. It’s really no different than the responsibility that falls on the shoulders of parents to help their children navigate the traditional pitfalls of life. But where does a parent begin when it comes to teaching their children about the risks of identity theft, online predators, online bullying, and the other hazards of engaging with the connected world? It’s enough to make a parent want to lock their kids in a plastic bubble wrapped in a Faraday cage until they turn 35. Saul Goodman’s brother, Chuck, of Better Call Saul comes to mind. Fortunately, there is the internet for finding such answers. The Net is like a double-edged sword that way. In my research for this post I found the mother lode of a resource on this topic. I don’t usually like to heavily weight a post around a single reference, but will make an exception in this case. In my scouring I found an article from Business Insider that presents advice from a long list of cybersecurity and IT experts for how they address cybersecurity with their own kids. Some highlights without attribution follow. 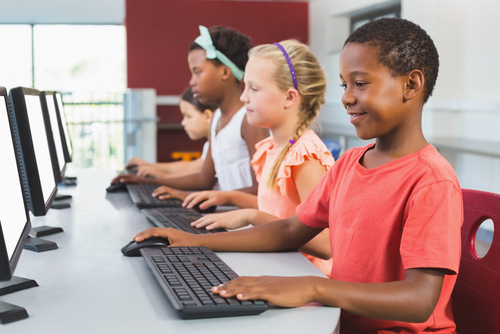 Revisiting the issue of gearing lessons in cybersecurity to a child’s age is a recurring theme from these experts. Several begin loosening the reins as their children get older. This is more challenging when you have kids of different ages in your household, but at least the younger ones – as is typical – are the beneficiaries of the mistakes made in raising their older siblings. Interestingly, one of the experts who appears to be in the minority, implements no filtering or parental controls. Instead, he has relied on education, anti-virus software, and regular scanning of his kids’ computing devices for malware and suspicious files. Most of the others maintain a fairly locked down computing environment, especially for their younger children. What most all of the experts have in common is keeping the lines of communication open with their kids throughout their childhood years. Warnings and lessons only go so far without questions directed upward. These parents encourage their children to ask questions about anything they are unsure about. This also serves as an overarching code of online conduct for kids: if you’re about to do something online and you wouldn’t be comfortable if Mom and Dad knew about it, then don’t do it. And if you’re not sure, ask. Many of the experts also stress the importance of teaching kids about the need for creating strong passwords and having a different one for each account. It’s also not too early to instruct kids about the permanency of the things they post online – especially to social media accounts. Kids may not be thinking about college admission and employment applications, but today, social media activity is a checklist item for many recruiters. Creating awareness around this issue early can potentially save complications down the road. An area where the offspring of the folks interviewed in the Business Insider article have a distinct advantage is that they’re being parented by geeks. One of the experts turned his kids into an in-house IT security team. They are tasked with keeping AV software up to date on all their devices along with OS and application patches. His oldest child even performs regular network scans looking for vulnerabilities on the home network. This level of tech awareness also raises the benefit of teaching kids how to program. An understanding of coding and application architecture can go a long way to not only practicing safe online behavior but comes with a host of benefits, not the least of which is preparing for a rewarding career in software development or other IT field. Granted, not all kids have geeks for parents or ones that even understand what constitutes staying safe online themselves. This circles the argument back to how much should schools be involved. But the fact remains, that it’s never too early to start having the “talk” with kids about cybersecurity and responsible online practices. It’s a process that evolves right along with the rest of a young person’s education. And perhaps one of today’s hatchlings will survive to be one of tomorrow’s Cybrarians!